Art on the Underground is a pioneer in commissioning contemporary art works that aim to ‘enrich the journeys of millions across the capital on the Tube every day’. The projects have gathered various artists to produce work over the past 15 years. They have all sought to maintain art as a central element of Transport for London’s identity and engaging passengers and staff in various ways. The project was launched in 2000, with an objective to combine art and the underground, and add further aesthetic dimensions to commuter’s Tube journeys. Art on the Underground is a fantastic project, not simply due to production of the art which has made its way onto stations across the capital’s Tube network, but also because it breaks down the boundaries between art and urban space. 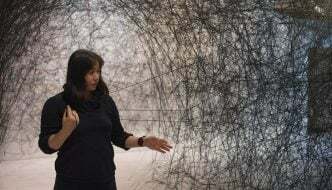 Art On The Underground has come to produce and generate public debate on how art can influence and shape public space to great effect and it presents the stunning combination or art and public space, in a variety of different works. It showcases some of the best International and British artists and brings contemporary art to the forefront of public display. 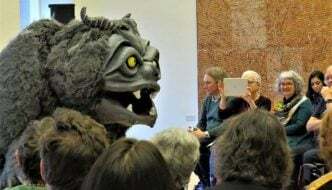 The success of the project has launched some recent larger-scale installations. Such as Trevor Paglen’s (2014) photographic commission in Gloucester Road station. US born Paglen is an internationally renowned artist who produces work in a variety of different artistic mediums. ‘An English Landscape’ is a large scale panoramic photographic display which has remained on show on a dis-used platform at Gloucester Road station since its commission in 2014. 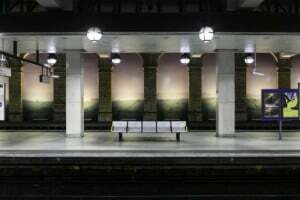 The photographic installation combines the stations architecture with Paglen’s photography which gives the impression that you are looking through the station and out onto the Yorkshire countryside. The image is framed by the station’s arches, which uniquely present the city and countryside in a beautifully poignant collaboration. Specifically the image shows the North Yorkshire landscape, (image taken around Menwith Hill). The North Yorkshire landscape finds its way into the Underground in this beautiful display and the combination produces a fantastic result combining London and Yorkshire together in Gloucester Road to great effect. 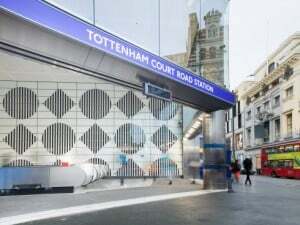 Art on The Underground promises much more to come, as well as the recent Tottenham Court Road permanent commission by Daniel Buren (seen below). Long may the London Underground be enhanced by the project and if the success of the past 15 years is anything to go by the capitals stations will be further aesthetically uplifted in the coming years. ‘An English Landscape’ can be seen at Gloucester Road Station (accessible via the Piccadilly, District and Circle Lines). For further information (including disabled accessibility) on how to view the works please see the Art On The Underground or TFL websites. 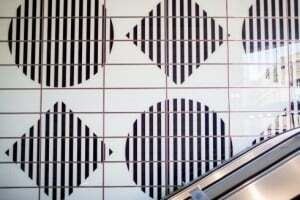 Daniel Buren’s artwork is permanently displayed at Tottenham Court Road station (Northern Line- Charring Cross Branch – no exit via the central line until late Dec 2015).